yes, i'm back... i've just been walking on air since i returned from minnesota... engaged! i truly can't believe it. i think i imagined it so many times that when it actually happened it was so surreal. we had late dinner reservations with matt's family on saturday night, so we decided to go for a boat ride before it was time to get ready. we had a great time, just talking and hanging out on the boat, admiring the nearby lakehouses. just before it was time to head back, he beckoned me over and told me he had a question for me. 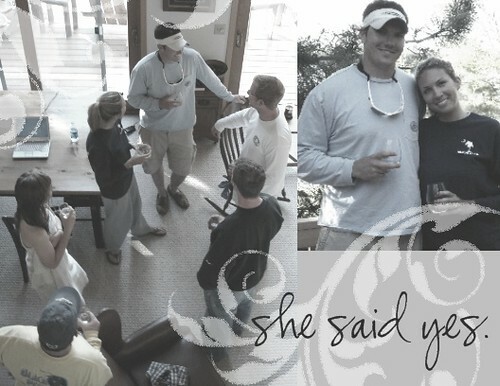 before i knew it, he was down on one knee and a ring was on my finger. it took my breath away, literally. i am so excited for the new phase that we're about to begin. so much planning & excitement.